We arrived in Christchurch late afternoon, it was just getting dark. We were dropped off right in the city centre, expected to be greeted by the usual hustle and bustle of a city. But there was nothing. It was very eery walking through the city centre not seeing a single soul. 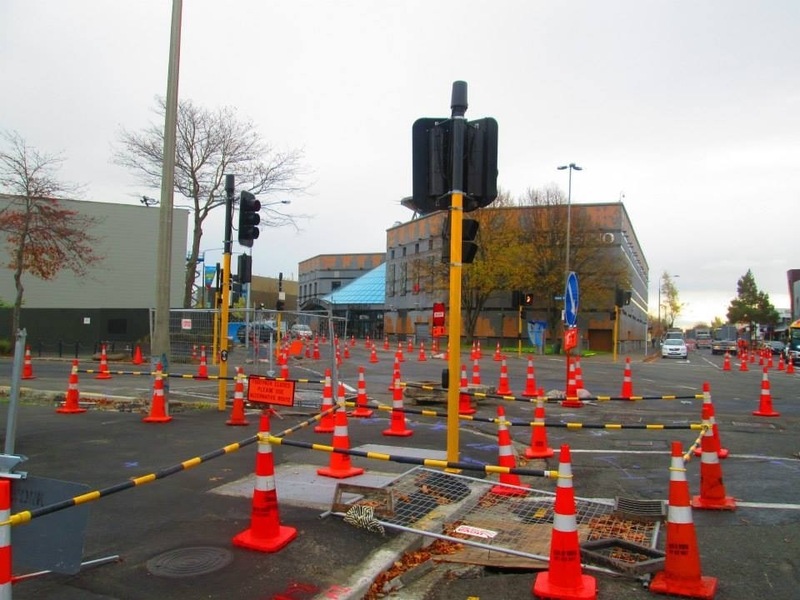 All there was, was building construction at every corner, hundreds of cones – that later we found out had become the new icon for the city. 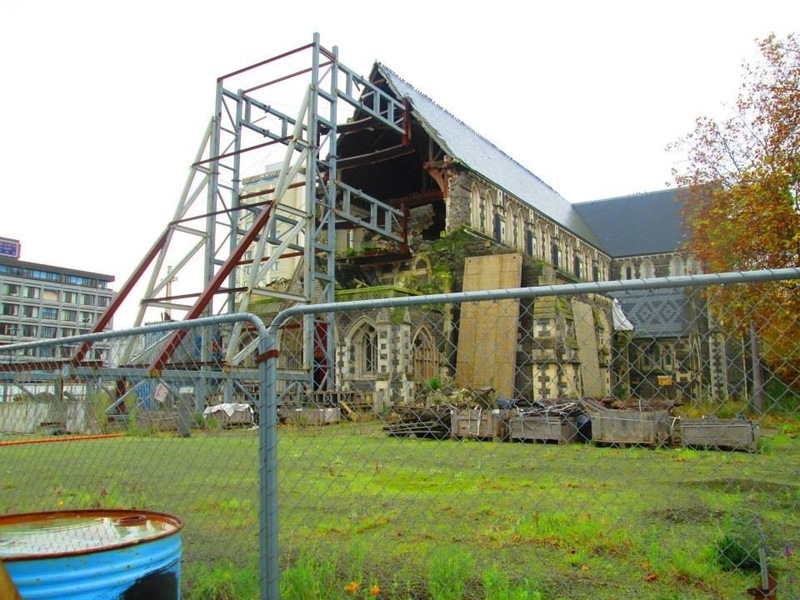 The Christchurch earthquake of 2010 was everywhere you looked. I knew the city wasn’t as it was prior to the quake at no means, but I really didn’t expect this. 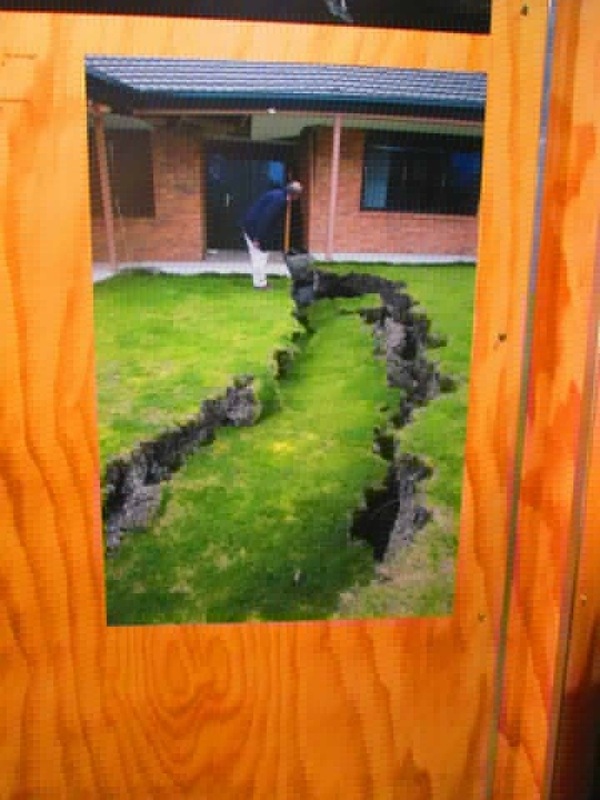 It felt like the quake had only just happened, not 4 years down the line. The thing that shook me up the most was seeing the city cathedral. Half of it had fallen down completely and the rest had no roof, seeing it in the dark was kind of spooky and extremely upsetting. I can’t even imagine what it must of been like to be present during the terrible quake. We eventually found our hostel after a 20 minute walk in the pouring rain. At one point we got a bit lost and saw a YHA in the distance, so decided to go and ask for directions there. The further we got the more obvious it was that it was closed. All the windows were boarded up, the building looked as if it was tilted and sunk into the ground. On the metal gates outside it had a sign saying “closed due to earthquake”. I’d never seen anything like it in my life. We had to walk down which seemed like a main road, however there were women standing under an umbrella on street corners with short skirts and heels on. I can only assume what they were up to, but I found it so bizarre, it was only about 7:30pm! How can it be that the only people we saw were builders and prostitutes? The next day it poured with rain again, we walked back into the city and visited the attraction called “Quake city”. It was a museum dedicated to the earthquake, I found it extremely interesting. It had a video from a CCTV camera in the city when the quake actually happen, buildings were falling down and people didn’t know what to do. There was also video recordings of victims who survived the quake and they tell their personal accounts of what happened. Such a devastating thing to happen, and even 4 years on people are still trying to recover. However, the museum gave some hope and showed plans of what they expect the city will be like once all the work is complete, it looked incredible. But it will take up to 20 years for the city to get back to how it once was. 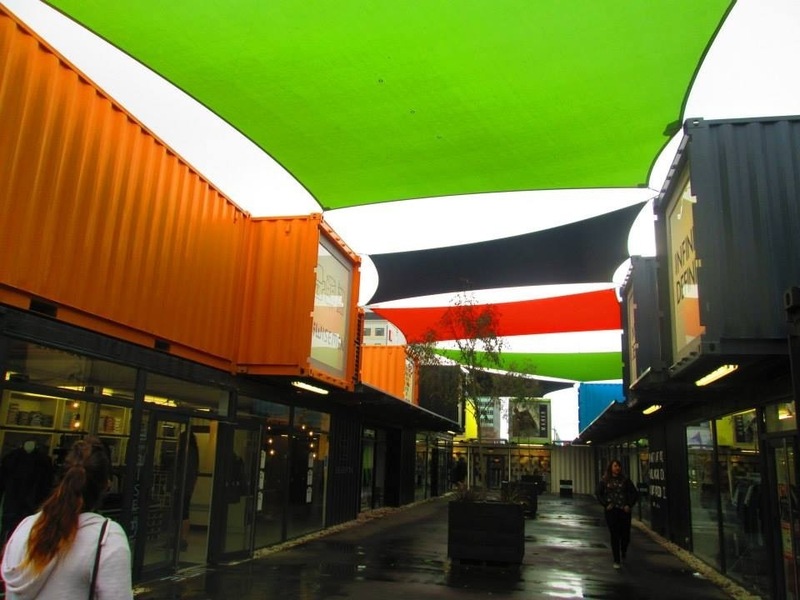 We walked around the city, past all the shut down shops and restaurants and came to the pop up shops made out of old shipping containers. It was so cool, in this big deserted city was a small little village of brightly coloured containers that had everything you needed. I guessed this was the “hub” of the city now as we saw a lot more people there. We didn’t stay long in Christchurch, but I’m glad I went there. To see a post quake city was an experience I’ll never forget, it was very sad to see but to also see the people of Christchurch haven’t given up on their city was a lovely experience too. I would love to go back in a few years to see if there is any improvement, I really hope in the future it becomes a vibrant, exciting place to be again, just as it deserves.